Collects material from Thor (1966) #146-149, Inhumans (1998) #2, Thanos Rising (2013) #1, Avengers (2012) #1-2, New Avengers (2013) #2. The grandest cosmic epic of all time looms on the horizon as Marvel marches toward Infinity! But how did Earth's heroes reach this perilous tipping point? Learn the secret origin of the Inhumans, Marvel's strangest and most isolated community. What are the mysteries surrounding the Terrigen Mist that gives them their uncanny abilities? Then, witness the boyhood of Thanos of Titan! How will his obsession with death change the Marvel Universe's very nature? 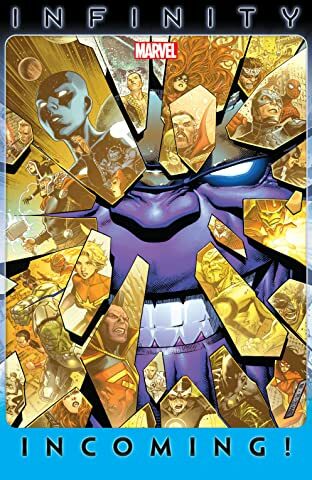 Finally, as the Avengers "go cosmic," putting together an expanded strikeforce to battle threats from the stars, the Illuminati work in secret to prevent incursions from other dimensions! All the threads come together as the Marvel Universe teeters on the brink of intergalactic war! 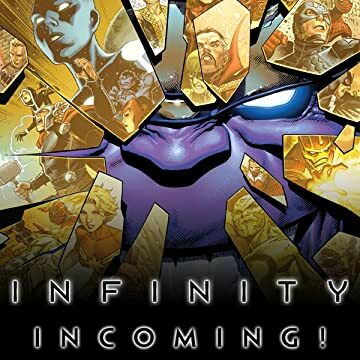 Infinity is incoming!